The Most Interesting Facts About The World! 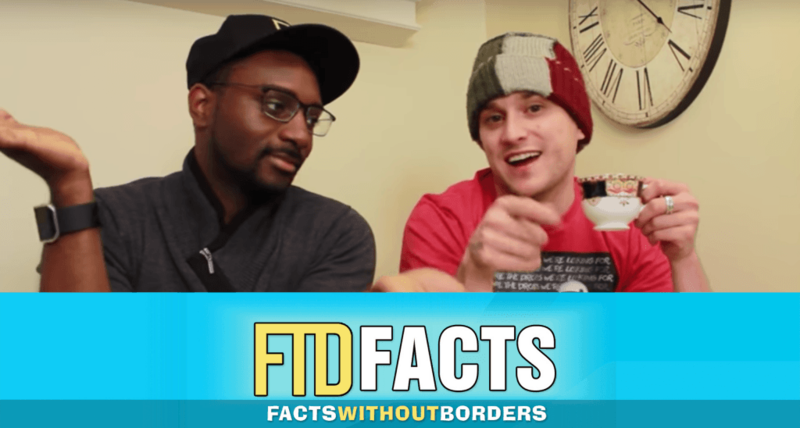 Leroy Kenton and Dave Walpole produce knowledge-based videos on their personal channel FTD Facts. The verity of videos showcasing amazing information about the World, Countries, Religion, LifeStyle and many more. Dave is from Hamilton, Canada, and Leroy is from Jamaica, Caribbean. Started their YouTube Channel on Oct 02, 2015. FTD FACTS gained more than 636,000 subscribers till Dec 2018. FTD FACTS: Gain general knowledge about our world. THE DIFFERENCES BETWEEN: Learn how countries, people, cultures, etc, in comparison with each other side by side. WHAT IF: Hypothetical questions about the various world nations explored. According to BrandSynario, content produced about Pakistani culture helped Pakistan to gain a better and a true picture & highlighted various misunderstandings about Pakistan by the international media. Because of huge requests about detailed videos on Pakistan, they produced more than 25 videos related to Pakistan and its culture. 12 facts about Karachi is a 7:39 short video showed positive aspects of the city, why people of Karachi call them selfs Karachiites. Local residential shots made the video breathtaking. The video was narrated by Dave Walpole who became fascinated by learning new culture and place in Karachi. The video also shed light on some really amazing facts about the city, like it is more than 4 times the size of New York City, now that’s impressive! An Impressive fact came in the spotlight after the video aired i.e. Karachi is more than 4 times the size of New York City. Is’nt it an amazing fact! The city was first founded in 1729 and called Mai Kolachi after a female fisherman! Want to know more about the city? Check out the video below! Same As Pakistan, they provide amazing facts about different countries like differences between DENMARK & GERMANY, Shia & Sunni, Surprising Facts About Islam, Military Power, Europe – FTD Facts 2018, Surprising Facts About Belgium Army, differences between NETHERLANDS and BELGIUM, facts about the Finland Navy, economic power does Sweden have, incredible facts about Russia special forces, differences between the Netherlands and Canada, 10 amazing facts about Lithuania, facts about the Indian army, if the Netherlands & Belgium became one country, surprising facts about Austria and many more. Are You Working For Money? You Know People Create Money Right? So Have It. Most top 5 popular videos of all time produced by FTD FACT channels are 13 Interesting facts about Mia Khalifa 8 Million views, 20 surprising facts about India – Part 2 7.7 Million views, 20 surprising facts about Ariana Grande 3.9 Million views, 10 shocking facts about Jacob Sartorius 2.4 Million views, 10 difference between Shia and Sunni Muslims 2.4 Million views. Not Only giving facts about people they spread knowledge about real life acts as well. Best example video is 15 surprising facts about Giving Birth. © 2019 TuneEra.com. All rights reserved.